Not one, but two HBCU stars are up for the biggest individual award in FCS football heading into the 2017 football season. 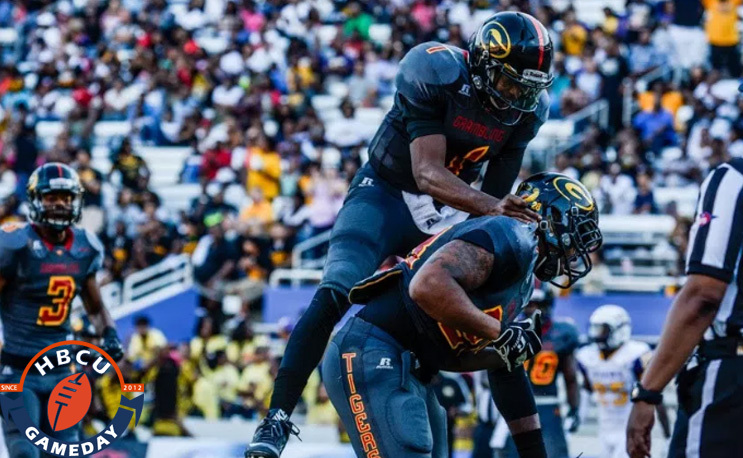 Grambling quarterback DeVante Kincade and North Carolina A&T tackle Brandon Parker have been named to the preseason watch list for the Walter Payton Award, according to STATS FCS. Kincade led Grambling to the wins in the Bayou Classic, SWAC Championship Game and Celebration Bowl en route to an HBCU national title. The conference’s preseason player of the year The conference’s preseason player of the year threw for right at 3,000 yards and 31 touchdowns after transferring from Ole Miss. Parker has been a key building block for North Carolina A&T teams that have averaged better than nine wins per season during his three years. The Kannapolis, NC native helped Tarik Cohen become the MEAC’s all-time leading rusher last season and rush for better than 1,200 yards in three consecutive seasons. He is the only offensive lineman on the list. The last HBCU player to win the award, named after the Jackson State legend, was Alcorn State’s Steve McNair in 1994.